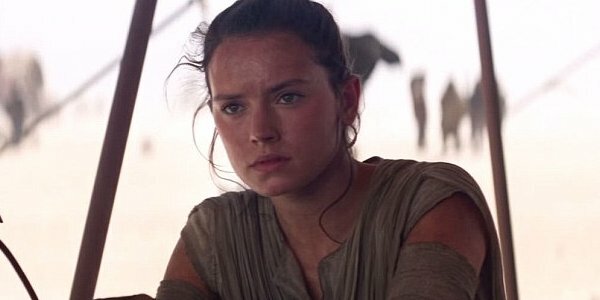 Daisy Ridley Doesn't Think Rey's A Jedi... Wait, What? Mystery, destiny, and surprise – these are key elements in the Star Wars toolbox, as well as the three best words that describe Daisy Ridley's Rey in Star Wars: The Force Awakens. While the large mystery surrounding the scavenger turned Jedi is who her parents may be, there's apparently another question that's been staring us down this whole time: is Rey really a Jedi? I don’t know if I am a Jedi… I don’t think I am. We’ve had this debate as to whether Leia is because she uses her Force powers. Just because she’s not like, ‘Oh I’m going on an adventure’ like Luke doesn’t make her any less Forceful. Looking at this statement at face value, it does look like quite the shocker. Much like Luke Skywalker in Star Wars: A New Hope before her, Rey seems to be on the path to become a Jedi of the future. However, at the current moment, Daisy Ridley's Rey isn't a Jedi. If anything, she's a Padawan learner, who can potentially become a Jedi Knight, and possibly a Jedi Master, should she earn the rank. Which means that not only is she not a Jedi by the time Star Wars: Episode VIII picks up, there's a possibility that she may never add the title to her name. The traditional Star Wars pattern is for us to see a Padawan become a Jedi Knight, and eventually a Jedi Master or a pissed off Sith Lord. But even with Kylo Ren in Star Wars: The Force Awakens, the importance of regimented training and titles starts to break down, as Ren rejected his light side training and is still working his way through the Sith ranks. So what if Star Wars: Episode VIII sees Rey and Kylo on a path that ends with rejecting any sort of formal label, all in the name of peace? It'd be the ultimate break from Star Wars tradition, which may or may not anger the fans more than even the existence of a a thousand Jar Jar Binks clones. It looks like, at least until the end of Star Wars: Episode VIII, that Rey's official status as a Jedi is still in the air. The subject will become one of those burning questions that gets analysed until there's a definitive answer, only to be further scrutinized when an actual answer isn't satisfactory. No matter what your opinion on the matter may be, you can go back to Star Wars: The Force Awakens and comb through the story for clues, as it's now available on Blu-ray and DVD.